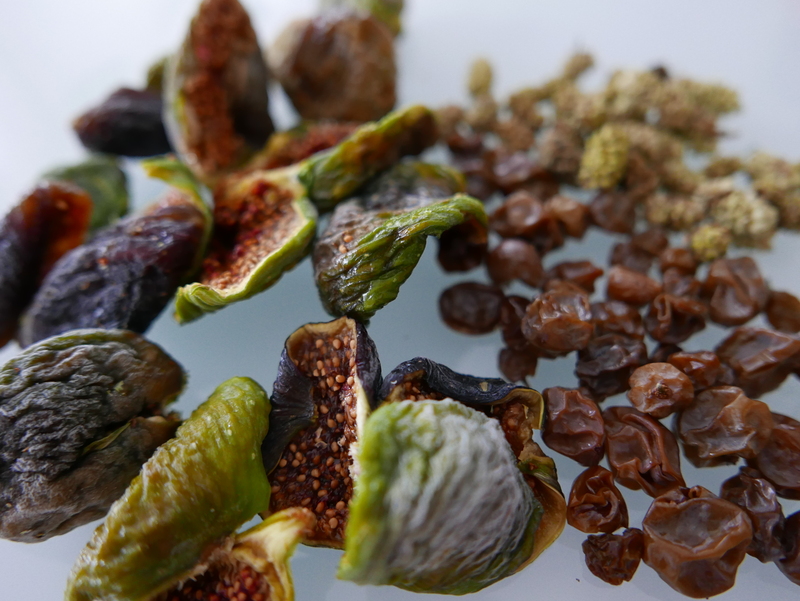 I was never much of a fruit cake fan until I started drying the figs, grapes, mulberries, hazelnuts and almonds we harvested at Petraia. Then I began researching traditional European holiday fruit breads in an effort to find easy and delicious ways to preserve them. There are probably hundreds, if not thousands, of these breads but this recipe takes its inspiration from three of my favorites. Closest to my heart is the Senese panpepato, (I have a recipe in Piano) and today’s recipe is a close cousin but is bound with an egg and is much easier to make. 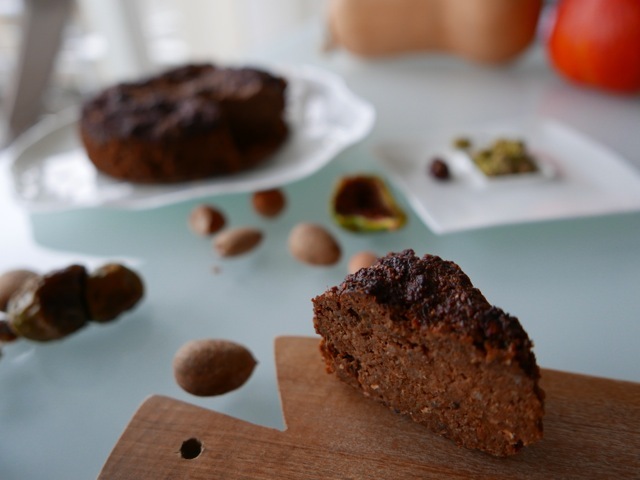 Like a Spanish pan de higo this bread is mostly about figs and almonds and is made in a blender and like a good British figgy pudding it is moist and fortified with a fair bit of booze. As with most cakes I make these days this bread is gluten free, has no added sugar and is a blender batter (just throw everything into the blender and whiz). A silpat loaf pan makes things even easier as you don’t need to grease or flour them but you can also bake these in paper baking molds for lovely holiday gifts (scroll down for sources). The recipe calls for a citrus paste, which is made using whole citrus fruit and honey. You can find out more ways to use citrus paste here. This is a rich cake and like a fine wine the flavor is deep and complex. I am sure it would get even better if it was aged like a classic Christmas cake but so far I’ve not been able to make it last that long. A little bit goes a long way and because it is all about the fruit make sure to use the best you can find. Ideally it should be organic, and not sulfured or glazed. If you want to reduce the phytic acid in the nuts you can ferment them first and then dry them to make the crispy nuts from Nourishing Traditions. You can serve this figgy delight dusted with a little cocoa powder (like panpepato), with cheese and quince paste (like pan de higo), or warm with a classic hard sauce (like figgy pudding). You can also give it a French twist and enjoy it at the start of your holiday meal with a slice of foie gras terrine. For the fruit you can substitute raisins or other dried fruit like apricots, cherries or cranberries for the dried mulberries which can be harder to source. 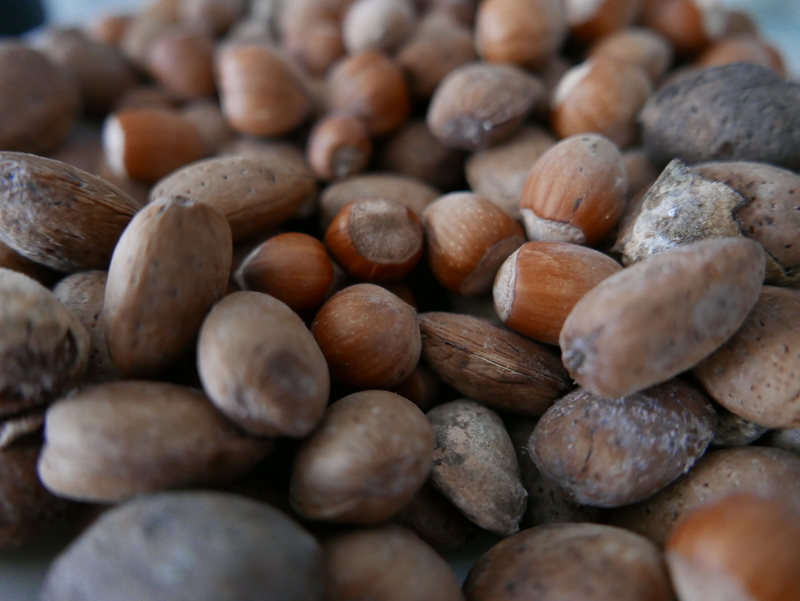 You can also use hazelnuts in place of almonds, or a mix of the two. If you are using a metal loaf pan then butter it lightly and line it with parchment paper. If you are using silpat or a paper mold you don't need to prep it. Reserve ¾ cup of the whole almonds. Place all of the ingredients except the coconut oil and reserved almonds in a blender and process for about 1 minute or until you have a fairly smooth batter. With the machine running add the coconut oil and process for another 10 seconds. 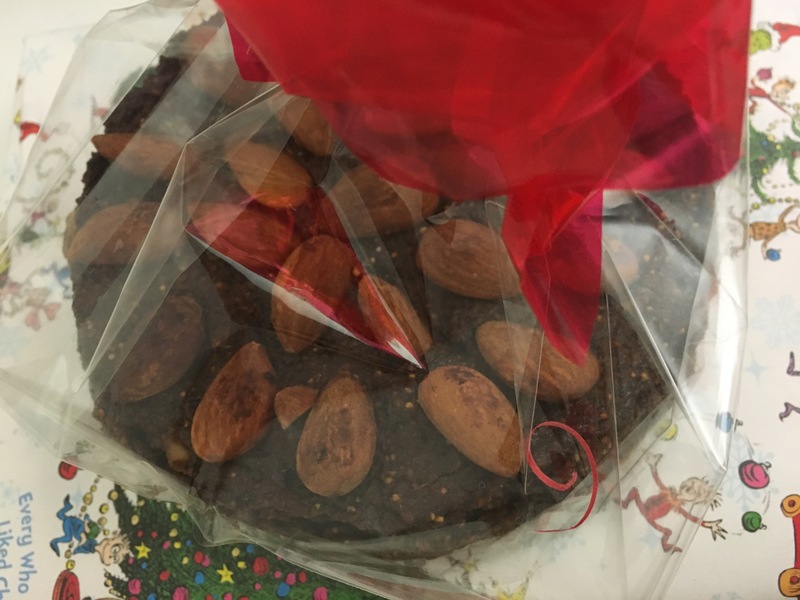 Transfer to your baking form and then decorate the top of the cake with the remaining almonds. Bake for 75 minutes. The cake will still be a little soft in the centre, but firm around the edges. Cool on a rack. Keep tightly wrapped in the refrigerator until ready to serve. 1. use brandy, port, ice wine or vin santo instead of madiera. 2. replace the mulberries with more raisins or other dried fruit like apricots, cranberries cherries. **For the spice mix try pumpkin pie spice,Tuscan spice mix, Quatre Epice or Chinese 5 spice powder. *** For the citrus paste take 1 whole organic lemon, orange or grapefruit and weigh it. Cut it into small pieces. Don't peel it. You can remove the seeds if you want but I don't bother. Blend the citrus with an equal amount of honey by weight until you have a smooth paste. Freeze any leftover paste. Click on the link in this post for more on citrus paste and ways to use it. A lovely selection of professional paper baking molds are available from my friends over at Chef at Hand. While you’re there check out their newly pressed 2015 award-winning Domenica Fiore organic olio novello from Umbria. It is available in Canada and the USA now while supplies last and all profits go to a good cause. 2015 has proven to be an exceptional year for Tuscan and Umbrian olive oil but quantities are indeed limited. 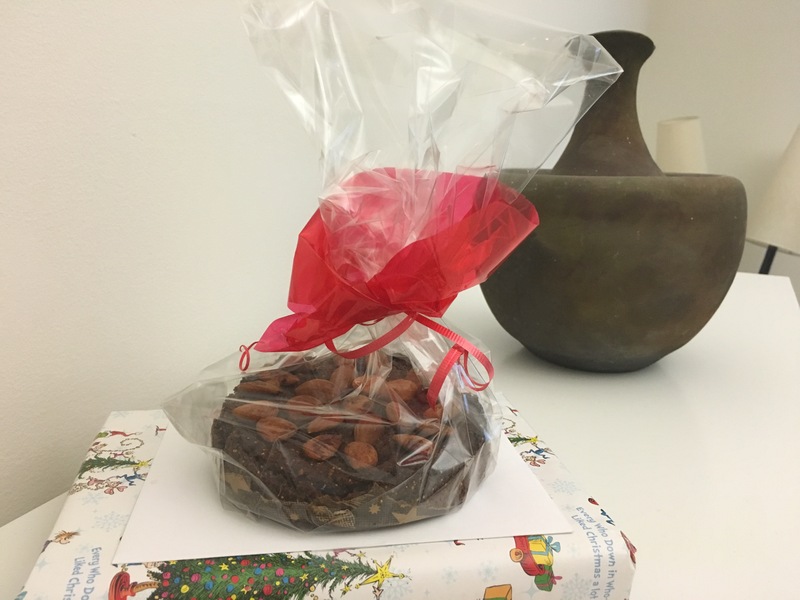 A fruit cake and a bottle of EVOO might be the perfect holiday gift for those foodies on your list!